Pre-poll violence in colleges has become common in several states including Odisha and Bengal. The other day over 50 students were injured as two groups clashed in BJB College in Bhubaneswar- considered to be one of top colleges of Odisha. As the general election draws closer, violence in college elections will only increase. It is time demand must be made from all right thinking quarters to implement Lyngdoh Commission recommendations in letter and spirit. For those who have forgotten, The Lyngdoh (Former Chief Election commissioner J.M.Lyngdoh) committee was set up by the Ministry of Human Resource Development (MHRD) in 2006 as per the direction of the Supreme Court to reform students’ union elections and to get rid of money and muscle power in student politics. The committee suggested sweeping reforms to keep off the influence of political parties, money and muscle power from campus during student union elections — and the apex court adopted all the proposals. Lyngdoh Committee had recommended the minimum and maximum age of 17 to 22 years, respectively, for undergraduate students and a minimum age of 24 years for postgraduate students to be eligible to vote. The panel further said that the relaxation in the age limit would be given appropriately in professional colleges, where the courses often range between four and five years, and for research students in universities, it had been specified at 28 years. Only those students, who had attained minimum permissible percentage of attendance as prescribed in a college or university, or 75 per cent where it had not been prescribed, would be eligible to vote. The report recommended that the contesting candidates “shall have one opportunity to contest for the post of office-bearers and two opportunities for the post of an executive member”. To keep anti-social elements away from the campus politics, the report said that any student with a criminal record, which included trial in a case or a conviction, a misdemeanor, or being subjected to any disciplinary action by university authorities, would not be eligible to contest. To check the use of big money in student politics, the maximum limit for spending by a student in election had been fixed at Rs 5,000. “Each candidate shall, within two weeks of the declaration of the results, submit complete and audited accounts to the college or university authority as the case may be, which shall be published by them within two days of the submission,” the report said, adding that election of a candidate would be automatically nullified for not filing the expenses statement. The political parties were completely barred from financing the elections of candidates of their affiliated student organisations as the students were only permitted to raise small funds from contribution among themselves. “There shall be no appeal to caste or communal feelings for securing votes. Places of worship, within or outside the campus, shall not be used for the election propaganda,” the report said, while prohibiting use of printed posters, pamphlets or any other election material as only handmade posters would be permitted. Needless to say that the recommendations were never implemented for vested interest. The condition of higher education especially in government Colleges and universities is as such in a precarious condition. Campus violence is further deteriorating it. Parents, who can afford shift their wards to private colleges, where no elections are held. Most of the private colleges and universities, like private hospitals are basically business entities, more interested to earn profit than to educate students or heal patients. Poor students have no place there. So they suffer more. When higher education is in a shambles, the country will perpetually remain mired in poverty and sham-literacy. The political parties and the concerned students must realise this. You fiddle with higher education- the nation suffers. So does the future of the poor students. As I write this column, Kerala is facing one of the worst floods that it has ever experienced. Along with tales of misery and devastation, tales of valour and service are also pouring in. People from Punjab have reached there and have opened langar to feed the hungry. Children are sending money to relef funds. My photographer friend Ashok Panda has sent me photographs of Odisha NDRF teams helping in rescue and rehabilitation of flood affected people in Kerala. It is a good initiative of the Odisha State Government to extend help at the time of their need. We still remember help extended to Odisha by Andhra Pradesh Govt. under Chandra Babu Naidu during 1999 super cyclone. It is by these acts of help and cooperation that the federal structure of the country gets strengthened. The other day I found a lonely letterbox tucked somewhere behind the wares of street vendors. In an age of instant messages and cheap voice calls it is hardly used now. In probably another 10 years postal letterbox will be history. I have many memories related post boxes. I guess most people of my age have. I have written some stories too on letter box. I am happy that we could get one for our Media Museum at Indian Institute of Mass Communication in Dhenkanal. 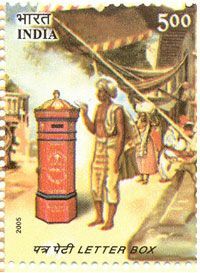 The Indian Postal Services were established in the current format largely under the East India Company. It was first established under the name “Company Dawk”. In 1688, the first post office of the Company Post was established at Bombay/Madras. The system was reorganized and the service opened to the general public by Warren Hastings, the first governor general of Bengal with supervisory powers over Bombay and Madras, in 1774. A Postmaster General was appointed and metal tickets or tokens were issued to pay for the postal charges. The presidencies of Bombay and Madras followed suit. In 1835 a Committee was set up for unification of customs and postal system of all the presidencies. The result was the first Indian Post Office Act of 1837. It not only provided for uniform rates and routes but for the uniform designs and other specifications of the postmarks for each category of post office. A Commission was setup in 1850 and submitted its report in 1851 that resulted in the post office act of 1854. 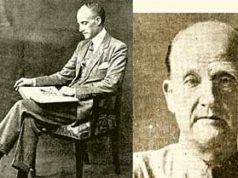 Under the provisions of this act, the monopoly of carrying mail in the entire area of British possessions in India were granted to Indian Post office and office of the Director General of Post Offices of India was established. 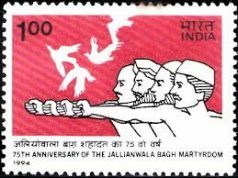 Adhesive postage stamps were first issued for use within the province of Sind, now in Pakistan in 1852 and were introduced on all India basis two years later- on 1 October 1854. These were the first adhesive postage stamps in Asia. At the time of independence, India had 23,344 post offices. In 1997-98, Indian Postal Service gave itself a new, contemporary and meaningful identity: India Post. But times are changing. India Post is reinventing itself. Rakhi or raksha bandhan is a unique festival celebrating the love between brother and sister. It is celebrated in several states in India and Nepal. In this festival, sisters usually tie a silk string around the wrist of brothers. The premise is: brothers will protect (raksha) the sisters. Several legends and stories- from mythology to historical have been doing rounds for centuries around this theme. There are other festivals celebrating the love of brother and sister like Bhai Duj or Bhatri-Dwitiya in other regions. Odisha has a deity to be worshipped for the prosperity of brother- known as Khudurukuni. But rakhi is probably the most colourful of all such festivals. Tail piece 1: Conversation with Anay. Here is a piece of conversation of Anay, all of 7 years old and her mother Sanghamitra, who was my student. A: I raise hand to answer most questions in class but my turn to answer comes only when I don’t know it. S: Ok, but why do you not know those answers? A: You mean I have to know all answers? If I know all answers then why do I need to go to school? 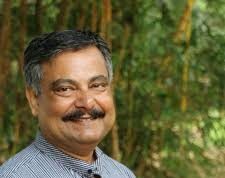 Mrinal Chatterjee is a journalist turned media academician. He lives in Central Odisha town of Dhenkanal. Presently he is editing a book on Gandhi as a journalist and editor, which will be published by 2 October this year.